His books include: Art & Soul, photographed in partnership with The Creative Coalition and Sony, pairs Smith’s iconic portraits of celebrities from film, television, stage and music with their personal messages about the importance of funding the arts; Secrets of Great Portrait Photography shares his stories from his last 30 years photographing portraits of the famous and infamous; and Sony A7 Series: From Snapshots to Great Shots. Brian Smith’s work has been exhibited at the Library of Congress, American Museum of Natural History, Aperture Gallery, Chelsea Art Museum and the W Los Angeles. He’s appeared on The X Factor, Israel Channel One and Fine Living Network. His awards include the Pulitzer Prize, American Photography, Communication Arts Photography Awards, World Press Photo, Pictures of the Year, Best of Photojournalism, One Eyeland People Photographer of the Year, American Photo magazine’s New Faces in Photography, AltPick Awards and Photo District News Awards. He’s a Sony Artisan of Imagery, Profoto Legend of Light, Adobe Influencer and X-Rite Master Coloratti. 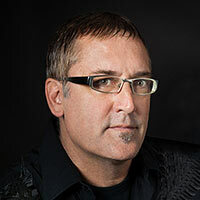 His work has been featured on the covers of the Photo District News and Professional Photographer and in Communication Arts, After/Capture, American Photo, Popular Photography, Digital Photo Pro, Emerging Photographer, Inside Edge, PDN and Rangefinder magazines. His photography assignments have taken him to six continents racking up five million air miles. He splits his time between Miami Beach, Hollywood Hills and Tribeca.